FINA announced its new Champions Swim Series for the world's fastest pool swimmers. 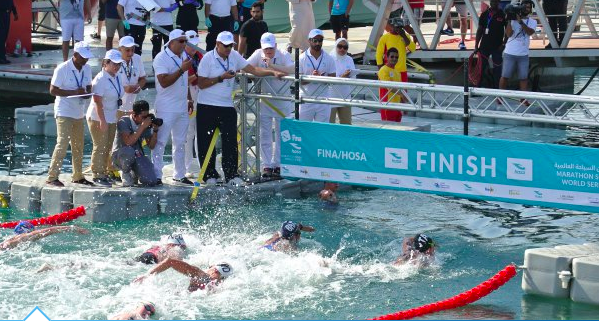 45 men from 15 nations and 37 women from 17 countries were formally invited to take part in the three-stop 50m pool circuit (Guangzhou, China in April; Budapest, Hungary in May; and Indianapolis, USA in June). The invited athletes include 2016 Rio Olympic medalists, 2017 FINA World Championships medalists, world record holders, and leaders of the 2018 FINA World Swimming rankings with four athletes per final. Races include the 50m, 100m and 200m freestyle, backstrokes, breaststrokes and butterfly, and the 400m free and 200m IM. Relays will also be conducted with the following prize money: 1st – US$16,000 for 1st; 2nd – US$12,000 for 2nd; 3rd – US$8,000 for 3rd; US$2,000 for 4th. Bonuses of US$20,000 are paid for each new world record set.